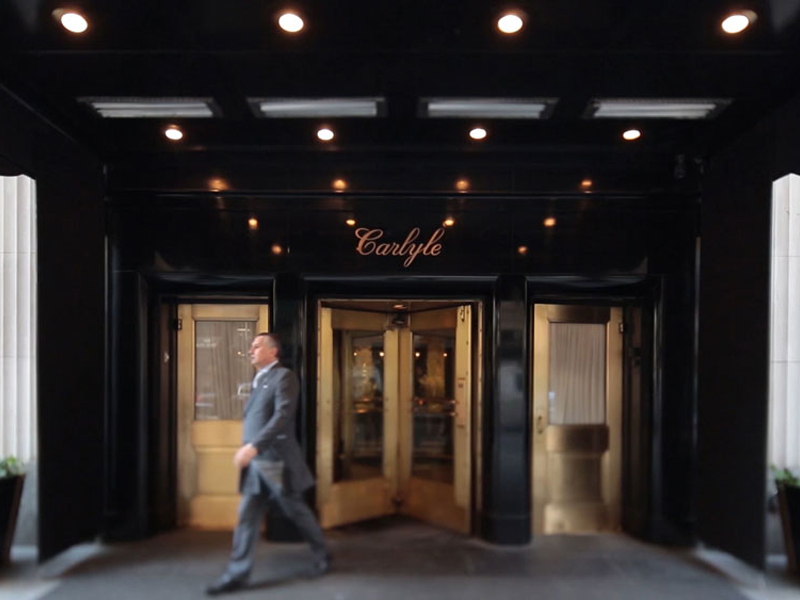 The Carlyle Hotel in New York has sustained a certain allure since 1930 that continually attracts sophisticated travelers and is regarded as one of the most luxurious and premier hotels in the world due to the discretion, atmosphere, and grandness. Historically, the hotel has housed some of the most influential and prominent figures, encompassing John F. Kennedy, Michael Jackson, Steve Jobs, and Princess Diana. Documentary producer/director/writer Matthew Miele (Scatter My Ashes at Bergdorf’s) had an affinity for The Carlyle Hotel at a very young age during his regular visits to the city, as it was one of the stops along the way to the iconic locales, old ice cream shops, and vintage hotels. 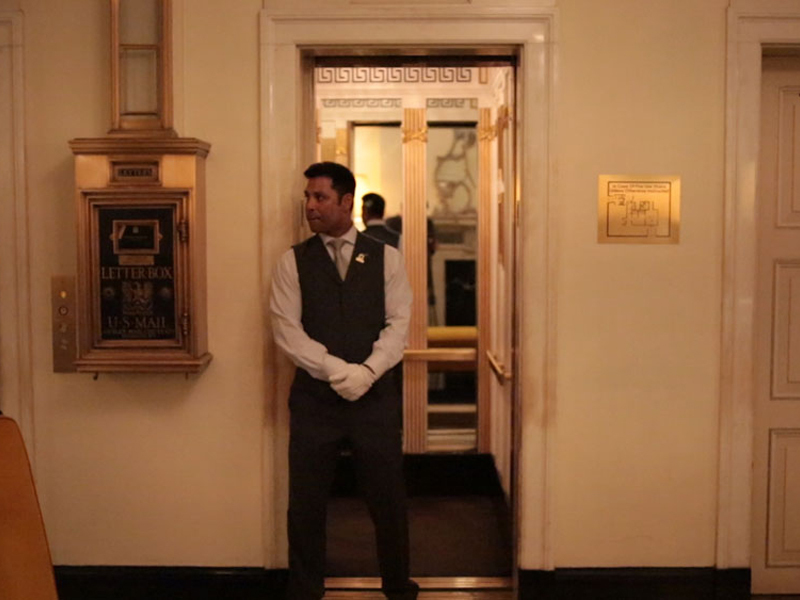 The director decided to share the story about this chic hotel with the world to emphasize how it came to be famous and legendary through the specific high-class entertainers of the past and the ones highlighted in the documentary, Always at The Carlyle. The major players in the documentary include Anjelica Huston, George Clooney, Wes Anderson, Jeff Goldblum, Jon Hamm, Sofia Coppola, Vera Wang, Lenny Kravitz, Tommy Lee Jones, and Roger Federer, along with many other celebrities as well. “All of them have one thing in common, which is they love this hotel, they’ve all stayed here multiple times. The intangible quality this hotel has is loyalty and they know and love the staff. The process to get these people wasn’t hard because they were all interested in expressing their love for the hotel. This documentary took about three to four years, to make due to trying to wrangle and seek out the A-listers,” expressed the director. 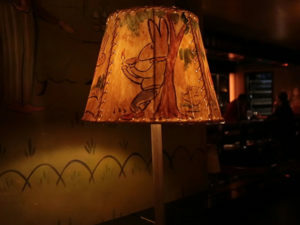 Bemelmans Lampshade. Photo Credit: Justin Bare. The presence of the celebrity guests is what accentuates the splendor, but much credit must be given to the various departments of the staff, as they create a loyal atmosphere for returning clientele. The heart of the hotel lays within the detail-oriented, customer driven guest services, which contains the concierge, the bellhop, housekeeping, elevator operators, front desk clerks, bartenders, chefs, and the seamstresses. The detail to personalized care even includes sewn initials of the guest’s name onto the pillow in the room they are staying. The high level of discretion the staff upholds and their commitment to their guests’ privacy has become a trademark, and why these A-listers come back time and time again. Many of these staff members end up working at this hotel for nearly a lifetime of 40-50 years. For instance, Danny the bellhop and Tommy the bartender have served historical presidents from Truman and Kennedy and have witnessed many remarkable events of every era. Another aspect that classifies the hotel and helps it to stand out from the rest are the features such as Bemelmans Bar, Café Carlyle, The Carlyle Restaurant, and the Gallery. Bemelmans Bar showcases art deco of murals from artist Ludwig Bemelmans that is covered from wall to wall and listed as one of the world’s best bars. Café Carlyle is home to classic NYC cabaret entertainment, which accompanies live jazz musicians, sometimes even including ersatz famous actors and directors. Elevator Man Posting Up. Photo Credit: Justin Bare. To envision this sense of grandness in a world class hotel, Always at The Carlyle is set to release in theaters in New York on May 11th and Los Angeles on May 18th with additional markets to follow.